I pretty much love everything about it. The tone, the creepiness, the clapping game, and I applaud the title card at the end because it really evokes that classic horror movie feel from the 70’s and 80’s. It reminded me of when I saw Ti West’s, The House Of The Devil, for the first time (those who have seen it know what I’m talking about with the opening credits). 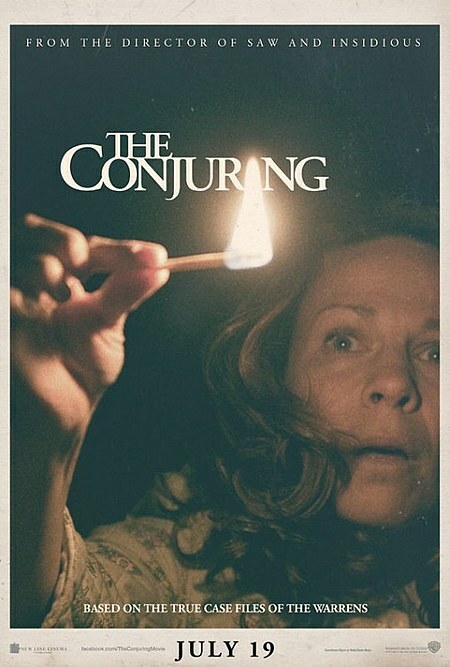 The Conjuring is however another one of those “based on true events” movies with the story focusing on a family in the 70’s that has a little haunted farmhouse problem and need the assistance of a husband/wife paranormal investigator team played by Patrick Wilson (Insidious) and Vera Farmiga (a celebrity crush of mine). Scheduled to be released on July 19th, stay tuned for more info on The Conjuring and let’s hope that the finished product pays off like the teaser trailer did! This entry was posted in News and tagged dead silence movie, news, supernatural horror movies, the conjuring james wan, ti west house of the devil, vera farmiga hot by Dirty Horror. Bookmark the permalink.